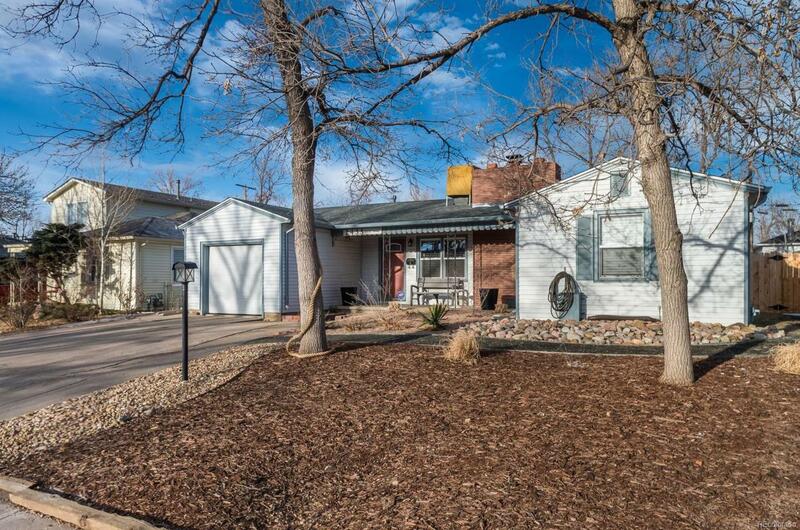 Open, modern Edgewater ranch with the perfect floor plan! 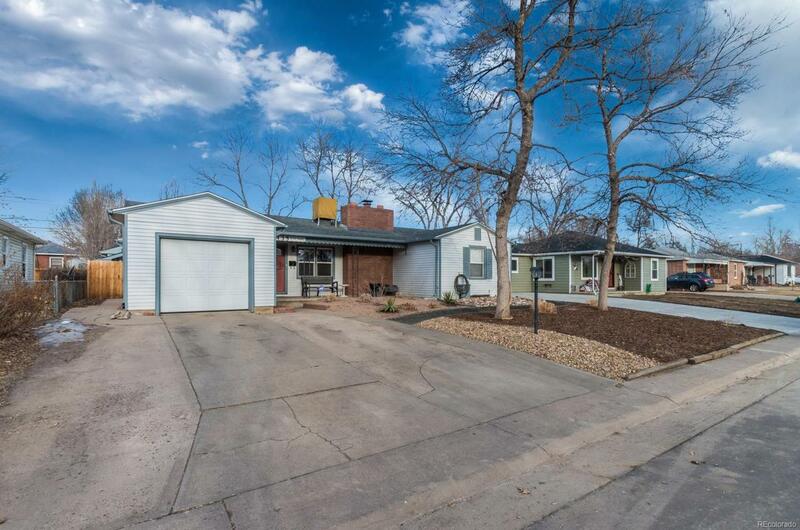 Extensively remodeled in 2013, this home is move-in ready. Gorgeous oak hardwood floors throughout the main level, updated kitchen with dark maple cabinets, granite counters, gas range and stainless appliances! 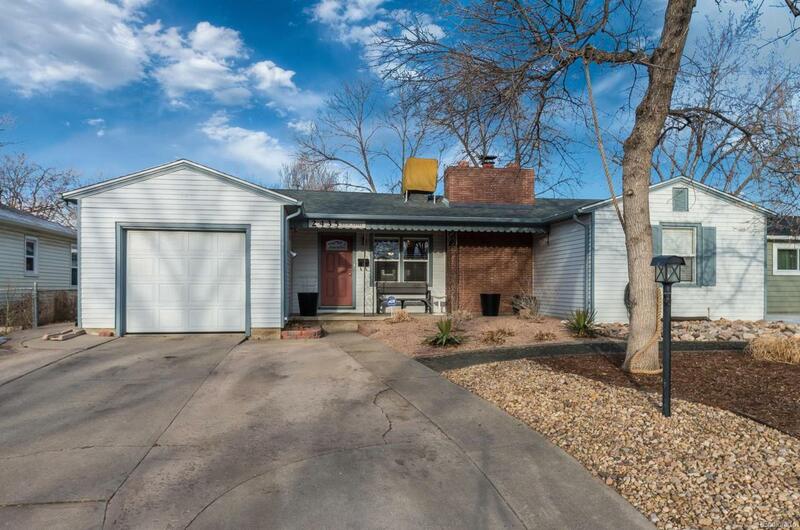 Convenient mud room off garage includes laundry, water heater (2015) and a private 1/2 bath. Create a modern conversation piece with the wood burning fireplace in the spacious family room - open to dining room and perfect for entertaining! 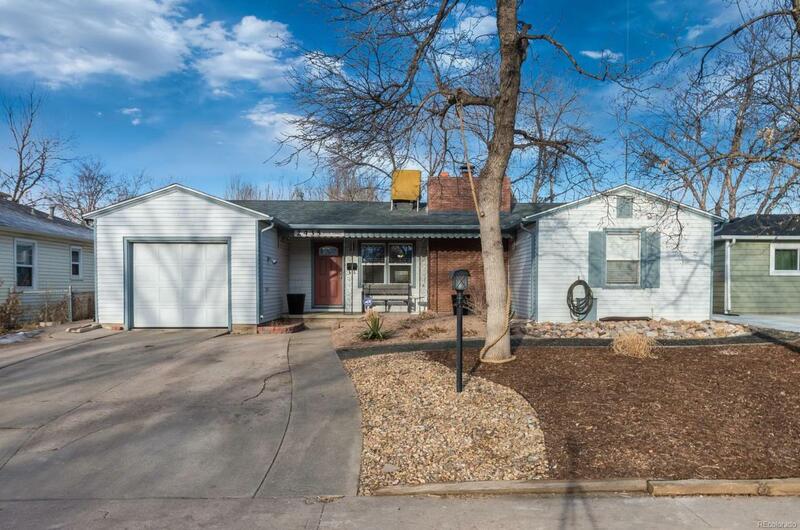 3 generously sized bedrooms, plus a 3/4 bath with updated vanity & fixtures and huge shower. Front and backyard recently landscaped - low maintenance xeriscape in front yard with drip lines, and a paver patio, redwood deck, garden area, 6' privacy fence and shed in the backyard. New roof in 2017 too! Garage has good storage, plus oversized driveway. Unbeatable location between Crown Hill Park and Sloans Lake, and minutes to Edgewater's business district and new market opening soon!